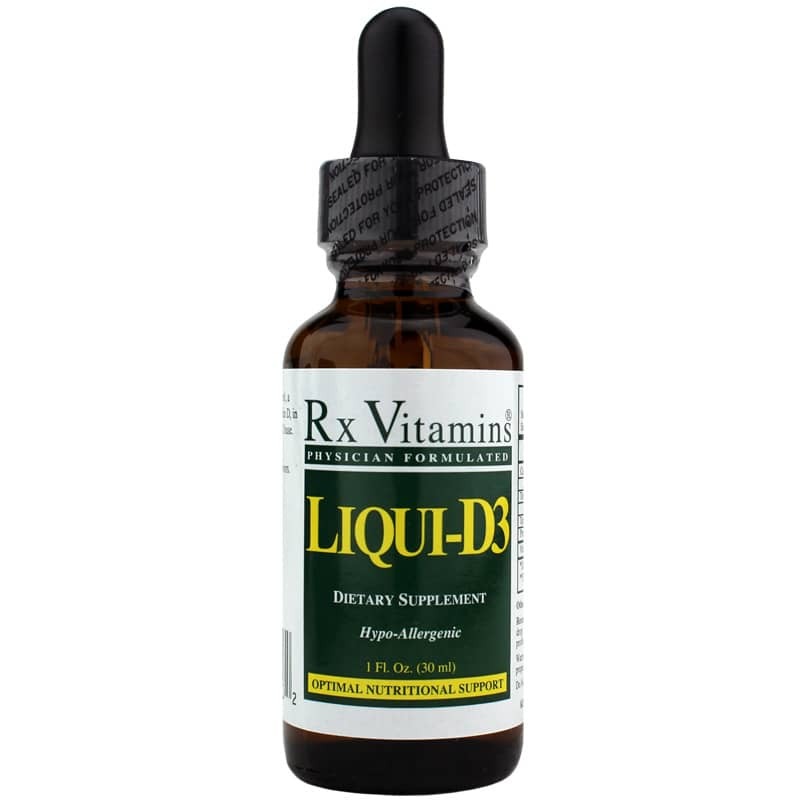 Liqui-D3 from Rx Vitamins is a liquid dietary supplement that supports your overall health with a highly bioavailable form of vitamin D3. 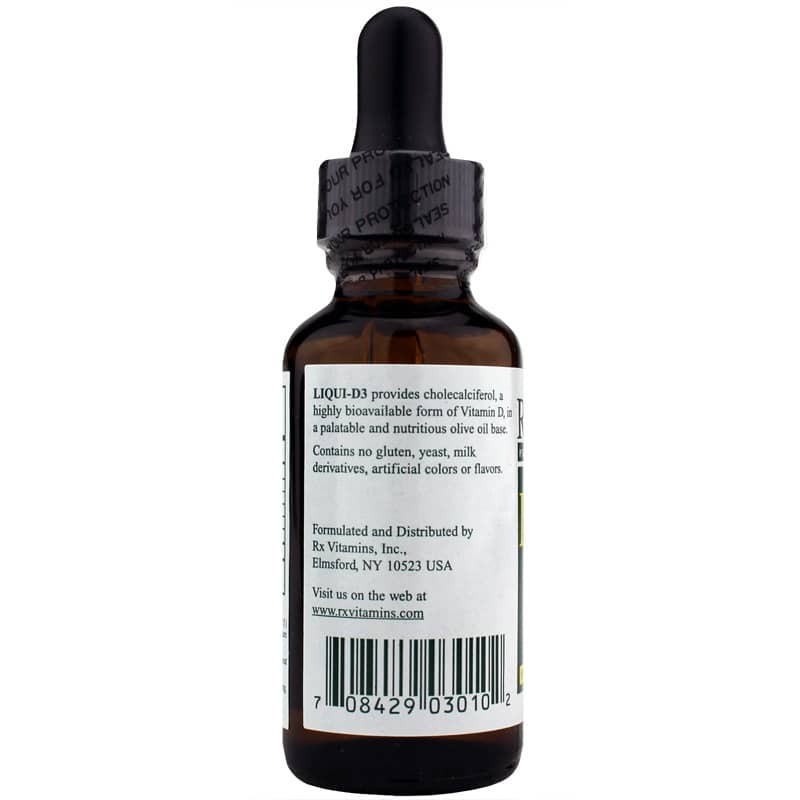 Hypoallergenic and gluten-free, it's the ideal way to maintain healthy D levels on a daily basis. Up to 80% of your vitamin D levels is produced when your skin is directly exposed to natural sunlight. Because exposure to sunlight may be limited for many people, especially during the cold winter months, it's important to supplement with a quality D3 product to ensure healthy levels. This product is manufactured to be completely free of gluten, yeast, and milk derivatives and artificial flavors and colors. The easy-to-use liquid form is perfect for people who dislike or may have troubles swallowing pills. Just one drop every day may help you maintain an optimal level of overall health and an increased sense of overall wellness. Order your bottle of Liqui-D3 by Rx Vitamins today! 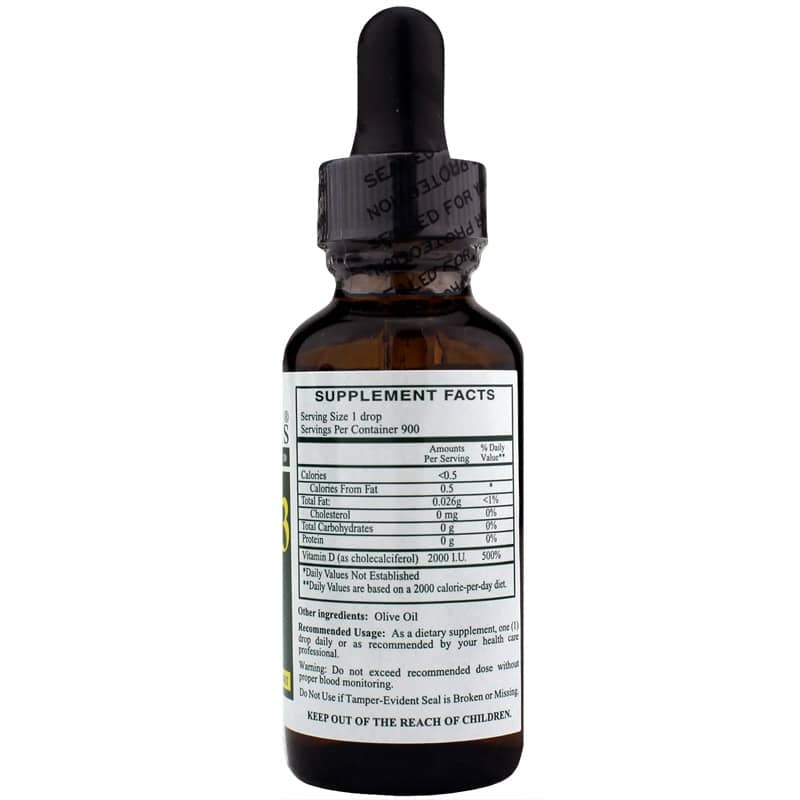 Adults: As a dietary supplement, take 1 drop daily or as recommended by a healthcare professional. Do not exceed recommended dose without proper blood monitoring. If you are pregnant or nursing, please consult your healthcare professional before using this product. Keep out of the reach of children. You get a lot of vitamin D per drop in this bottle. Each drop is 2000 IU. This was recommended by a friend. I have had low Vitamin D for years and was taking 50,000IU a week to try to raise it. After one month on these drops my vitamin started improving. I now only have to take a few drops a day to maintain my vitamin D. My GI doctors now recommend liquid vitamin D to all of their patients.